Per festeggiare i quarant'anni di Eskimo (Ralph Records, 1979) i Residents aprono i segreti archivi e rendono pubblico l'intero campionario dei suoi materiali sonori costitutivi - inclusi giochi di gola Inuit, rumori di caccia, canti di balena e venti dell'Artico - invitando a indagarli e magari servirsene per una propria personale versione dell'opera: Eskimo (Deconstructed). 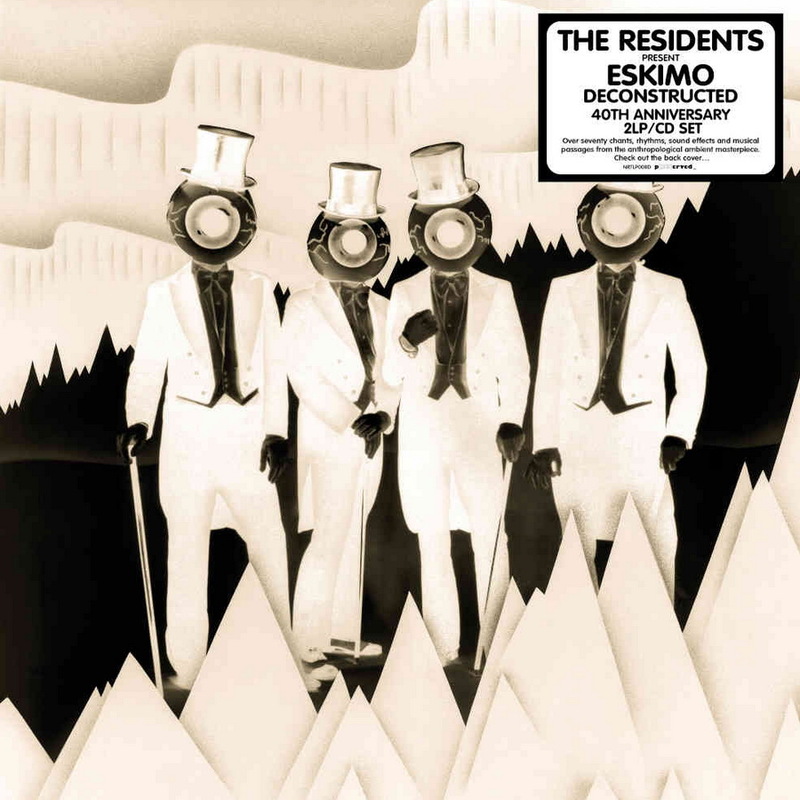 To celebrate the 40th anniversary of Eskimo The Residents present a unique collection of the album’s constituent parts, and encourage their public to remix and rework the album. Including over seventy individual musical elements, chants, loops and sound effects recorded on location by the group in the mid-late 1970s, plus a backing cd of Arctic wind noise, this remarkable set provides unprecedented insight into the three years’ recording and construction of a legendary album, and an opportunity for fans to “walk around inside a masterpiece, the viewing angles almost infinite”. Conceived by The Residents partly in response to their satisfaction with the successful I Am A Resident project and their fans’ musical abilities, and with their own love of interfering with the music of their heroes in mind, Eskimo (Deconstructed) represents a first. Never before has a band peeled back the layers of one of their finest works in such microscopic detail, and made those highly intimate elements available to the public to re-interpret as they choose. Sure, it’s a classic, and this is undoubtedly sacrilege, but consider this a chance to screw with The Residents’ music just like they’ve been screwing with everybody else’s for almost fifty years now. Dig out your sampler and your turntables and dive in!